Shanean • Sat, Apr 04 2015 • Ttc our second child. Really want our first to have a sibling. Would love to have 3 children, they are such blessings!! 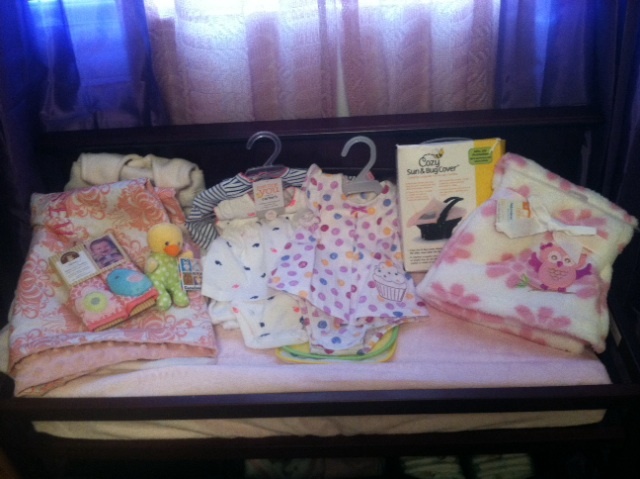 Just a few things for baby while at the hospital. Still need bottles and things. Not due till July but I'm ready to have everything complete at least a month before she gets here! !